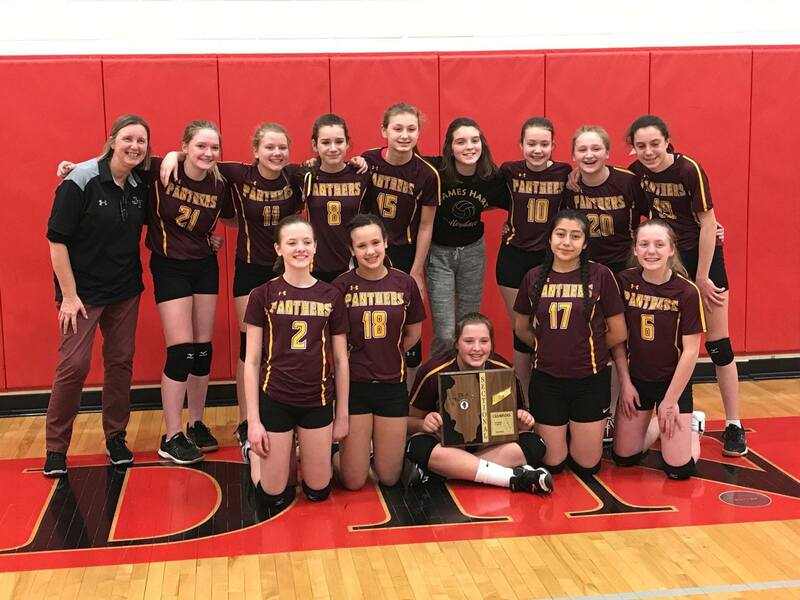 [Updated 7:30 a.m.] The seventh grade girls volleyball team at James Hart School in Homewood is ready to battle for the first place title in the Illinois Elementary School Association state playoffs. Right now, the team is one of the top eight teams in the state. They will compete Friday, March 8, in Normal, Ill., in a best-of-three elimination series against Urbana Middle School. Colette Scheffers of Flossmoor had an outstanding season as a leading volleyball player for Trinity College in Hartford, Conn.
Tony Kruse’s hiatus as the Homewood-Flossmoor High volleyball program head coach is over. Kruse, a physical education teacher, had been the girls head coach for the first 10 years and worked with the boys team for six years of his 14-year tenure at H-F. He walked away from coaching when he and his wife started their family. He wanted to have hours at home when his two children, now 4 and 2, were born and share family responsibilities with his wife.